After Malcolm Turnbull announced he was challenging PM Tony Abbott on Monday afternoon, commentators were unanimous in their speculation that Abbott would not go down without a fight. The pugnaciousness that characterised his political style is also part of the playbook of Canadian PM Stephen Harper which – in common with Abbott's – bases interaction with political adversaries on their 'standing', and is less concerned with debating policy. In Canada, former academic and public intellectual Michael Ignatieff became the leader of Canada's Opposition and the country's centre-left Liberal Party in 2009. Ignatieff's story — recounted in his short but compelling memoir Fire and Ashes: success and failure in politics — offered some valuable lessons for Abbott era Australian politics. In particular, he highlights how politics waged as 'war' undermines civic discourse and stymies the democratic development of new policy. Politics, Ignatieff argues, should be thought of as a calling where 'you put your own immodest ambitions in the service of others'. As such, participation in public life entails recognition that one lives in a diverse society where constituents will hold competing and potentially irreconcilable views on contentious issues. For Ignatieff, an ill-conceived foray into the debate surrounding Israel's conduct in the 2006 war in Lebanon managed to offend both Jewish and Lebanese constituencies and to serve as a reminder of the need to avoid 'inflam[ing] discord with ill-chosen words'. The moral of Ignatieff's story is not to avoid adopting positions on contentious or divisive issues. Partisanship has also has its time and place. Rather, he points to the dangers of viewing politics as a battle in which one's opponents are defined as enemies. Such an outlook, he writes, 'legitimises a "take no prisoners" approach' and 'has the effect of defining compromises and deals — the humble trade plied in most democratic legislatures — as betrayal or treachery'. Politics conceived as warfare inevitably sees attacks based on 'standing' rather than policy content. Combatants become fixated on undermining their opponent's very right to contribute to public debate, rather than critiquing competing views of the world. As Ignatieff writes, 'once you've denied people's standing, you no longer have to rebut what they say. You only have to tarnish who they are'. Harper, for example, attacked Ignatieff's credibility on the basis that the Liberal leader had previously spent considerable time working and living in the United States rather than Canada. A shallow slogan devised by the Conservatives — 'Michael Ignatieff. Just Visiting' — had a devastating impact. 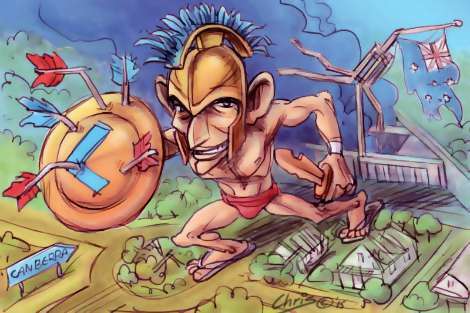 The combativeness of Harper's politics had clear parallels in Australia under Tony Abbott. As his shallow and unnecessary comparison of ISIS and the Nazis demonstrated, there appeared to be no issue on which our outgoing Prime Minister was shy of expressing a firmly held and divisive opinion. 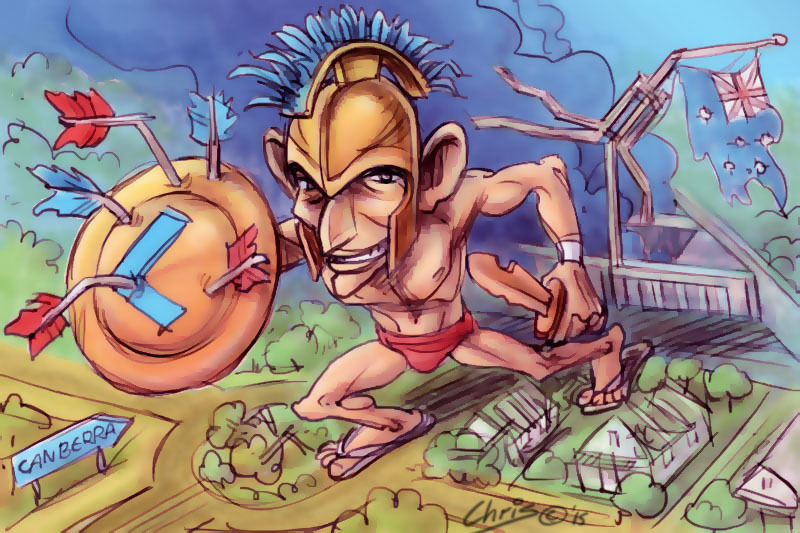 Attacking his opponent's legitimacy was Abbott's natural response when confronted with almost any competing idea. Thus the Australian Broadcasting Corporation was effectively accused of being un-Australian for reporting the alleged mistreatment of asylum seekers and the Labor opposition was accused of 'rolling out the red carpet for terrorists' for questioning radical proposals to strip the citizenship of suspected terrorists. The Prime Minister's colleagues followed his lead, with Foreign Minister Julie Bishop – while serving under Tony Abbott – accusing Labor counterpart Tanya Plibersek of advocating for a 'terrorists' picnic' in Syria. Attorney-General George Brandis also sought to undermine the legal ability of environmental groups to challenge major developments, accusing them of waging 'lawfare'. Sustaining a politics of negativity for so long in turn weakened Abbott's own standing with the public. As Ignatieff outlines, politics waged as war ultimately erodes our entire polity. That Abbott was attacked by fringe 'birther' elements querying whether he is eligible to be a member of Parliament was the (il)logical end point of our Prime Minister's political modus operandi. The behaviour of Abbott and his colleagues was symptomatic of a broader cultural obsession with the questions of legitimacy and conflict in public debate. For example, the ABC's popular Twitter fuelled Q&A claims to be 'democracy in action' and sets the tone for much the week's political news cycle. Yet, like the programs of commercial rivals, it thrives on setting adversaries against each other on a relatively narrow range of topics. More broadly, a number of the substantial policy reforms of the last decade – such as the fatal attempt by the previous Labor Government to introduce mining and carbon taxes – were defeated less on their merits than by the concerted efforts of vested interests. These interests sought to undermine the perceived democratic authority and question the class motives of their opponents (who they quickly elevated to the status of 'enemy'). Next month, Ignatieff's former opponent, Stephen Harper, will face the judgment of voters as Canadians head to the polls. Time will tell whether his pugnaciousness will be subject to a similar fate to Abbott's. It seems that Australians in the Turnbull era have grounds to hope for a civil polity that is more conducive to genuine debate about policy. To improve the health of our polity, candidates for public office must reject a politics fixated on questioning the representative legitimacy of elected opponents and lowering public discourse to the uncivil realm of combat. Only then will politics be able to be reconceived as the vital fabric of a shared civic life. Recent articles by Andrew Thackrah. Great piece. Policy free politics is a curse on all of us. Well said! The basic fallacious "arguments ad hominem " was my first lesson in logic. How come all these Rhodes Scholars missed out. It would be good if the politics of playing the person were replaced by the politics of serious, honest discussion of issues, their proposed solutions and the consequences. John Hewson was the last party leader to be honest about what he would do if elected. Hopefully Malcolm Turnbull will usher in a new era. Abbott's language skills were atrocious. He couldn't explain anything. I think we also need to reduce the influence of powerful lobbyists on parliament. They are unelected and their power of access and influence need curtailing. The country should be run in the interests of the nation as a whole, not vested interest groups. A well developed discussion with a realistic view of what has happened to Australian politics. Last night, within the noise of disposal and appointment, there was mention of one word that stood out like a lost friend glimpsed in a crowd. The word was hope. It was uttered by Malcolm Turnbull. I am neither a fan nor advisory of the PM designate, but I do look forward to more respect and less spite and sloganeering. As a nation, we are wading through challenging times, but these are not times of desperation nor internal warfare. Maybe with the fighter out of the ring, more than the ropes may fall. Once an attack dog, always an attack dog. I watched the unfolding events on ABC TV with some interest last night. Politics is, above all, a numbers game. Abbott was a very effective Opposition Leader by force of attack. But could not convert to conciliatory as PM. I agree with the general premise of this article. However, politics is about power and there's a very well-worn phrase about power that is oh so true. I wish Mr Turnbull, a very different kettle of fish to his predecessor, a good relationship with his most important power base - the people. This article clearly begins a much needed analysis for all political leaders on acceptable leadership. It is timely to hope that Mr. Turnbull's leadership starting today reflects some of these newer perspectives. We can only hope: let the debate continue. The parliamentary system is an adversarial one. Where to from here? This has all unfolded in a way worrying reminscent of Gillard`s ousting of Rudd. Turnbull`s authority will be no less undermined. He is already exercising wounded leadership; self inflicted wounds. The similarity to Gillard`s ill conceived `coup` is remarkable - and concerning. Ask Scott McIntyre what he thinks of Malcolm Turnbull's ideas about public discourse. The question of leadership is open for discussion at all levels in Australia. Leadership can be taught. Various individuals given the opportunity could be trained in leadership styles that lencourage others to engage in decision making . Leaders need to have the ability to facilitate growth in decision making and participation . It is not too early to start this training in leadership. In schools. For example, instead of just having one person designated as school captain or head student , share this job among a variety of students and give them all in service training in leadership skills. Expand school curriculum into community projects and include community participation as part of daily school life. Australia could benefit greatly from an emphasis on good leadership. Many of us absolutely deplored the pugilistic style we have witnessed over the last years. Thank you for a well-balanced article, with some important lessons for future leaders. Perhaps we need to redefine what political leadership is. Certainly, it is often said that Mr Abbott was a very successful Opposition Leader, but I query this. Isn’t the purpose of the Opposition to critically analyse the proposals of the government, and to improve these proposals for the good of the nation. This is very different to dismissing proposals and treating every Government proposal as though they were stupid. It seems we need to rewrite the Parliamentary Procedures. Brilliant article! I knew Mr Abbott was finished when the fundamental appeal he made to his colleagues was: 'We the Liberal Party, are not the Labour Party.' Negative sloganeering to the bitter end. As for Mr Turnbull, I wish him well. The Nationals will be a drag on his freedom to select the best possible cabinet from his Liberal Party colleagues. He is also constrained by the need to have a balance of state and Senate representatives. But surely he must have more women in his Cabinet. It is not easy for a woman to win pre-selection in the Liberal Party, especially for a safe Liberal seat. The women Liberal backbenchers have proved that they have what it takes to get elected. I believe any one of them could do as good a job as any male member of the Abbott Cabinet. In some cases they could do even better. Despite their bravado, I feel Opposition members will have to lift their game if they thought they were going to drift back into office on the tide of anti-Abbott sentiment. Watch those polls, Mr Shorten, you could be next for whom the polls toll.. Fascinating article, Andrew, bringing together all the disparate things we've been thinking (and suffering) into a logical and enlightening argument. Like others here, I rejoice that this immature, inarticulate, seemingly mindless ogre that has bullied and poisoned political debate in this country for too long is gone. And if Turnbull's two speeches yesterday are an indication of the future, for the first time in years I am interested in hearing what the Liberals might have to offer in the next year. Bill Shorten is no longer PM-in-waiting by default, and will certainly need to lift his game. Above all, if he continues the negativity sickness, he will pay. (Same goes for Liberals!) I think the public has now taken all it is willing to take of this insidious illness, not only in the body politic, but also in the media - and, perhaps even more importantly, out in the community too. This is a new start. The right to be a bigot and to shout down opponents is now just plain bad manners again. It's now time for positive suggestions, canvassing of ALL options, and reasoned compromise. That's what the people want. Politicians and others ignore this at your peril! Cut off from the action in France, it was moments of excitement in faraway Auzerre when my daughter gave me up to the minute details by SMS. A sort of rusted on Labour voter with green tinges, I thought to myself how much more relaxing it would be to say I am an Australian whilst away from home. The adversarial approach has been Abbott's demise and it has taken away propriety in public debate and any recourse to serious thinking and argument. I have great compassion for the man, but his values were being exercised in the wrong place and in the wrong style. Muscular Christianity was a product of the British Empire and should have remained rooted there but without water or sustenance. Adversarial politics, sadly remains our form of democracy, but when it is literally conceived, as in the shirt front of the danger man, Putin, and broadcast to the world, suddenly there is no place to hide. An Australian Indigenous sense of time is a reality, to mock it actually mocks all of the time spent in indigenous communities by Tony Abbott and reflects a man who 'just didn't get it'. One can only have compassion! Excellent article. Too many big egos in politics fighting for power. I pray the Liberals don't squash Malcolm's progressive ideas. I believe in what you say but still, in all the circumstances of Abbott's 'leadership' and demise, I do feel a large degree of schadenfreude. Hopefully, the man who took on Thatcher and won (the Spycatcher trial) will use his wit and will to raise the level of political discussion above the shallow, narcissistic and self serving standard we've had for quite some time. It's time to close the door on Abbott and his style - and keep it shut. Don't let us forget young Godwin Grech when Malcolm cops it in the neck............ That's politics, so what the heck! The 2010 election was a prime example - the Coalition won more seats than the ALP. But Abbott then abused and insulted the cross-bench MPs - while Gillard entered respectful negotiation. Abbott's competitive alpha male instincts failed him once more. Fine and intelligent article. Sorry to be a pedant, but the noun is pugnacity. If it hadn't been in the headline, it might not have worried me. Sorry. I think, Barney, you'll find "pugnaciousness" is acceptable. The Oxford gives it as late 17th century, and it appears to be a correctly constructed English form [cf. 'contentedness, etc].